Retin-A Cream for Anti Aging – It Works! If you are looking to beef up your stock of anti-aging products, then one product that you must have is Retin-A. Retin-A is the popular name for Tretinion. Tretinion is the carboxylic form of Vitamin A. It has been historically used to treat bouts of acne. Of late, it has gained popularity as an anti-aging treatment. Let’s see how Retin-A cream for anti aging works. Retin-A is the trade name for Tretinion which is extracted from Vitamin A. It is a prescription medicine that is stronger than retinol which is one of the main ingredients in many over-the-counter anti-aging creams. How Does Retin-A Cream for Anti Aging Work? Your skin is exposed to a variety of environmental factors, physical wear and tear and chemicals on a daily basis. It keeps itself in shape by the process of shedding old skin and renewing itself every 2-3 weeks. However, the ability of the skin to regenerate reduces with age, leading to dullness, wrinkles and loss of elasticity. This is where retin-A comes into picture. Retin-A has been proven to increase the cellular turnover of the skin at a very high rate, which means that despite aging, your skin is getting regenerated and can become more youthful when Retin-A is used. How is Retin-A to be used? Retin-A is a topical treatment that is to be prescribed by your dermatologist. It is available in a cream and gel form. So if you have dry skin, go in for the cream and use the gel if you have oily skin. At the start of the treatment, the cream is to be applied on the skin once everyday after cleansing with a mild face wash it in the evening or night. After ten minutes of washing your face, smooth on the cream all over the face, avoiding the eyes. After three weeks of daily application, you can switch to applying the cream on alternate days. There is no age or time when you could start off on Retin-A treatment. Women in the forties can use the treatment to reduce the wrinkles and fine lines on their face and to plump their skin up. If you start using the cream in your late twenties or early thirties, you can avoid the appearance of deep wrinkles altogether. Retin-A makes the skin very sensitive to the sun. So if you are under a prescription of Retin-A, then make sure to always apply sunscreen and prevent the treated area from sun damage. How effective is Retin-A cream for anti aging? When you start using the cream, do not expect any results overnight. Use the cream as per prescription and prevent your skin from sun damage. Follow all the instructions given by your dermatologist. 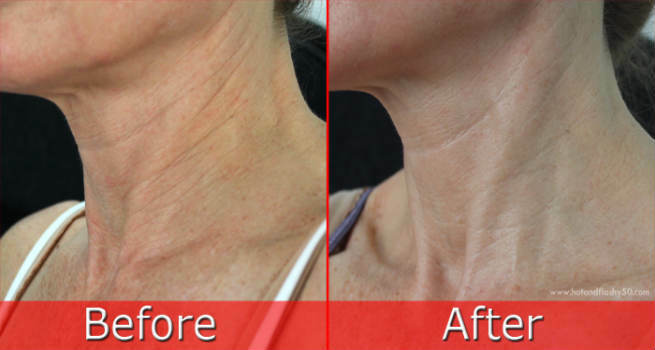 Retin-A remodels the skin at a cellular level and shows phenomenal results in 6-8 months. There are many products that line the shelf in the anti-aging section of your supermarket but if you want to go in for that one product that works, it is Retin-A. Within 6 months of regular usage, you will notice fewer wrinkles and dark spots and better skin tone. It also reduces the size of your pores, making sure that they won’t get clogged and morph into whiteheads or blackheads. It is advised that pregnant women do not use Retin-A cream. Also, if you have cuts or wounds on your skin, then wait until they are completely healed to start the Retin-A treatment. If you get your face waxed regularly, then you either stop the waxing or do not take up the treatment, since it is not advisable to wax the area where you are applying the cream.